Ace your next event with this bold take on smart wear. 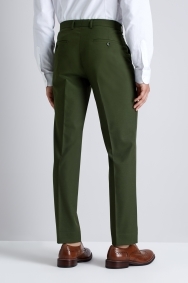 These trousers will ensure you don't blend into the background with their deep khaki colour. It's an easy shade to pull off if you want to look different to colleagues or other guests at events. Cut in a skinny fit they taper sharply for a crisp outline. Reach for the matching jacket, either the double-breasted or single-breasted option depending on your style, then choose a classic pair of brogues to keep your look smart. Nice trousers. Good quality & price. 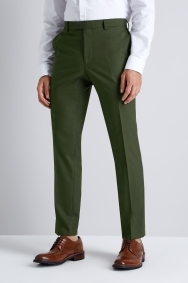 Poor sizing of trousers - needs to be more consistent.